Today on the currency market the NZD (New Zealand Dollar) was strong on all pairs. 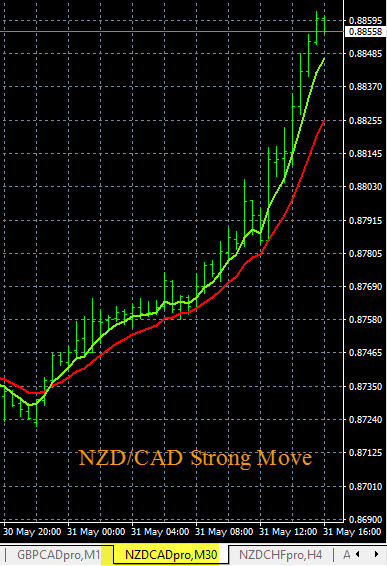 This strength drove upward price movement on several pairs like the NZD/USD and NZD/CAD. These pairs could be forming new uptrend on the D1 time frame. Going forward we will look for more NZD strength in the market and continue to follow these trends to the upside. We will look to issue more buy plans on these currency pairs in our next set of trading plans. 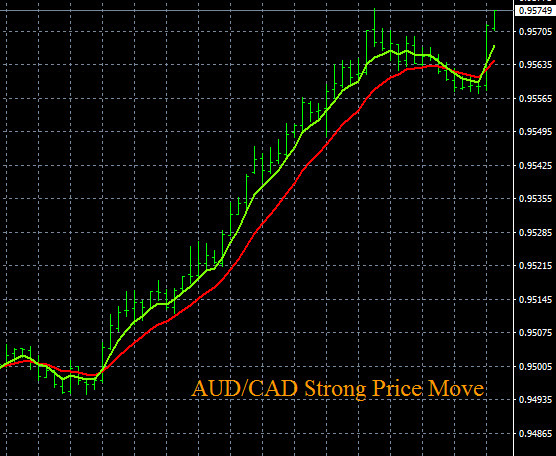 Today in forex trading the CAD (Canadian Dollar) strength drove price movement on the forex market. The EUR/CAD dropped and this pair is trending lower on the larger time frames, it should continue lower. Other pairs like the AUD/CAD and the NZD/CAD are currently at support levels and could continue to trend lower early next week. The market strength and weakness indicator you see below is The Forex Heatmap®, which is a real time visual map of the forex market with live trading signals for 28 pairs. 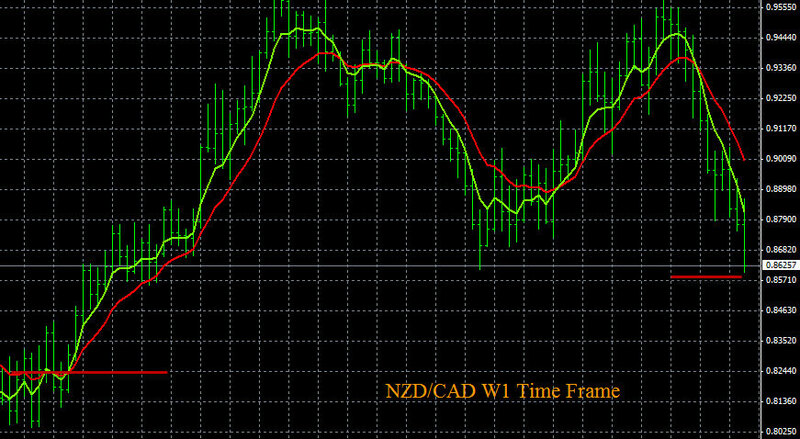 The NZD/CAD analysis shows that this pair is forming a down trend on the W1 time frame. Current short term support level and price alarm point is 0.9325, below here look for a sell signal on the The Forex Heatmap®. Exact support level target is unknown but this pair has no nearby support below the alarm price. This could be a good short term sell for 1-3 days. 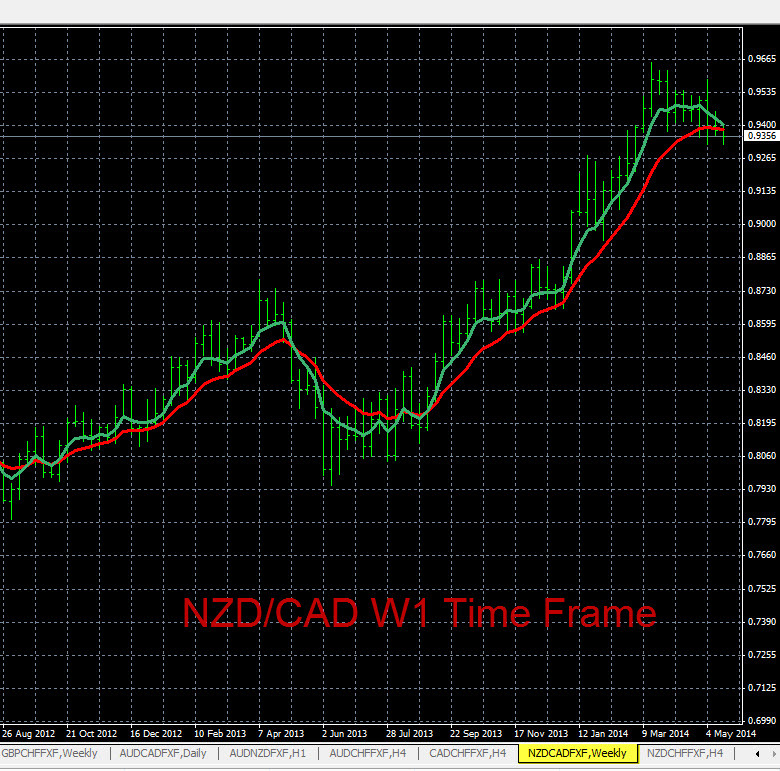 The analysis done on the NZD/CAD below was performed with multiple time frames across individual currencies. 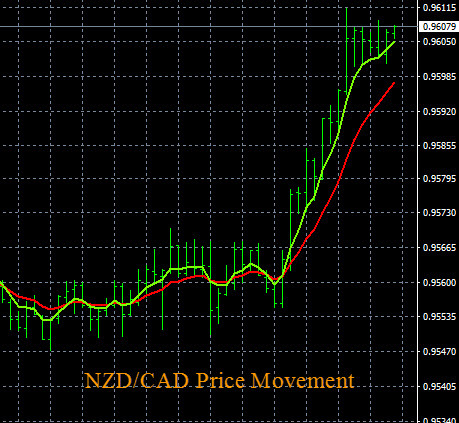 Today in forex trading the NZD weakness drove price movement on all of the pairs in this group. These price movements originated in the Asian session on most NZD pairs, and the movement continue into the early part of the main session. 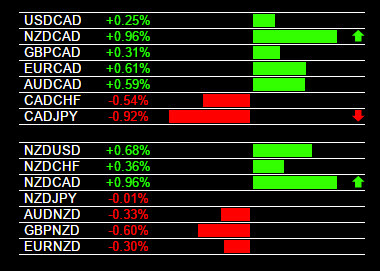 Pairs like the NZD/USD and NZD/CAD dropped in the main trading session. The live signals you see below are from The Forex Heatmap®, the heatmap has signals for the Asian trading session on the left and for the main trading session on the right for 28 pairs.